I'd been to Paris once before, but I'm older and wiser now. And infinitely more willing to pay 8 euros for a hot chocolate (although ironically, have less money now than I did then). Anyhow. 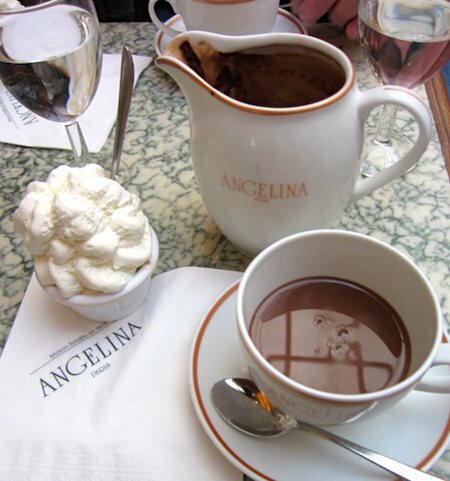 I had long heard of this supposedly magical hot chocolate at Angelina's, so on a recent trip to Paris a few friends and I decided to give it a go. The restaurant itself did not disappoint. It was relatively full, with many tourists, and certainly aimed at a more upscale clientele. The service and atmosphere is lovely and makes you feel pretty fancy. Which is good, because you know... 8 euro hot chocolate. So how did the hot chocolate stack up? Delicious. Plus we were hot and tired, and, and the elegant restaurant right the the Tuileries was a lovely place to sit for over and hour and drink free water and slowly enjoy this cup of melted chocolate deliciousness. I definitely needed the addition of the cream, otherwise it would have been too rich. I must say though, I didn't find it too different from the delicious hot chocolate one can find at the Lindt Cafe's in Sydney and Melbourne. Essentially, it is excellent quality chocolate, served warm. However I would rate it as a nice Paris experience, and not overall super expensive, if you're into that sort of thing. 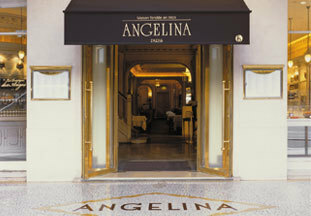 There is also a full a la carte menu, with many tempting patisserie items! In any case, it's one to add to the list when in Paris. Bon Appetit!